I’ve been, as they say, knitting up a storm. 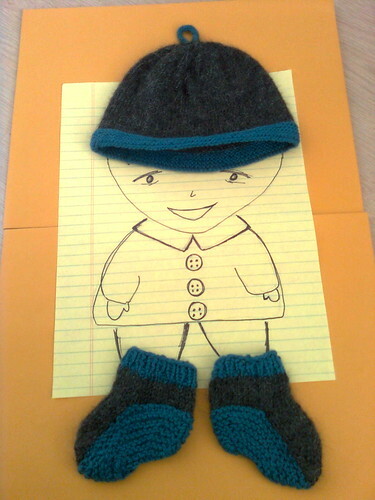 What kicked it off was an impulse to knit another baby-related item for my then-still-incubating new nephew. 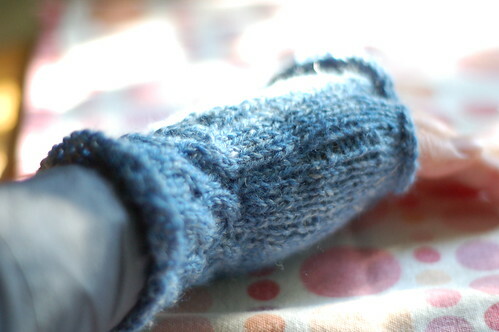 Last year’s toddler mittens nearly put me off knitting in the round forever. Turns out what I dislike is using metal double-pointed needles. I’d stretch as far as hate, but one should forgive (but not forget) at the close of the year. So instead, here are the items I managed to start (and even finish in most cases!) 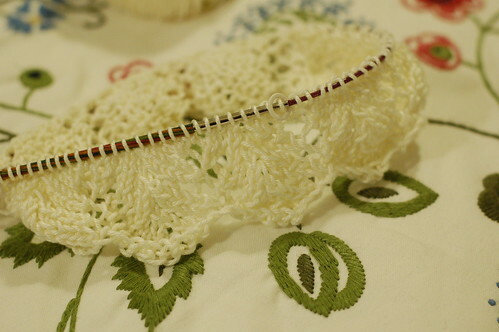 in 2010, one mere year after working out what knit and purl stitches are. 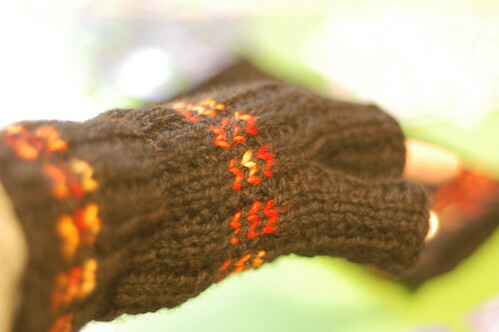 At time of writing, only one mitt has been finished. The second will have to wait for other projects to be completed. 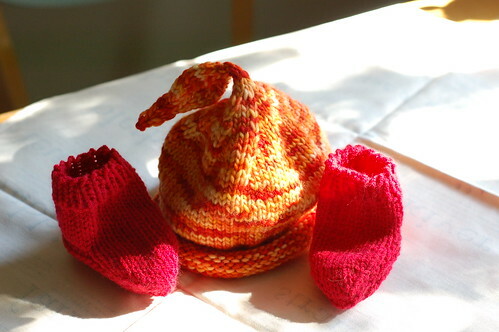 My mother made the booties, and some mittens (nae photo) to match. 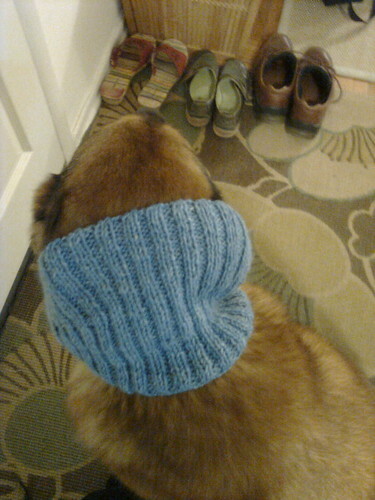 For P to survive the ridiculously cold and early winter in Scotland. For P’s dad to warm his hands up after feeding and watering the coos first thing in the AM. 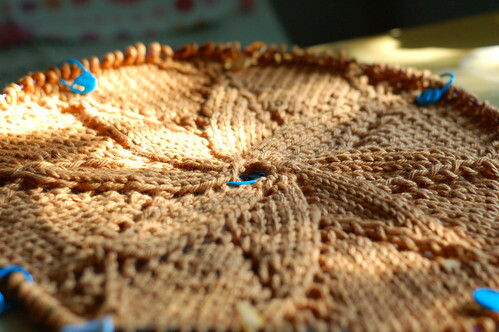 Is a gargantuan project… Knitting the circumference, adding 8 stitches every 2nd row means the latter rows are now taking 20 min each to knit. 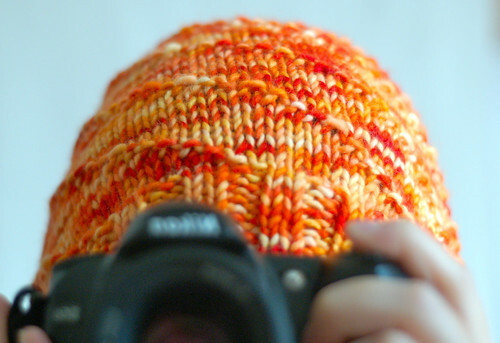 *Not strictly a whole 12 months of knitting, seeing as I only picked up the needles again in November. A more accurate title would be: “2 months of knitting”, but that somehow fails to excite me. This entry was posted in akatsuki makes. Bookmark the permalink.